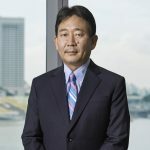 It has been two years since Kazuaki Takabatake took on the role as OANDA Asia Pacific’s MD & CEO, having left his previous position as Saxo Capital Markets CEO, a role he held for 8 years. 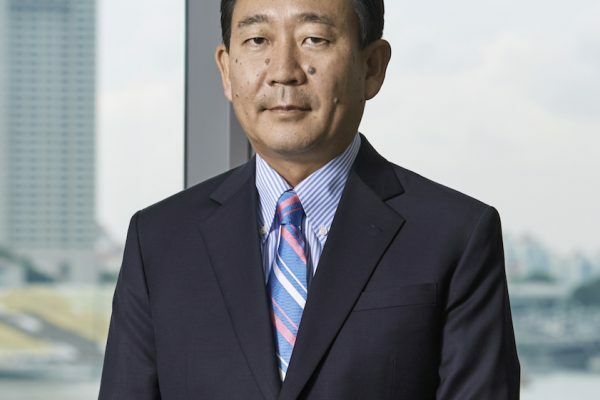 His earlier work experience included stints at Patsystems Plc, Yamaichi International, and the Industrial Bank of Japan, now known as Mizuho. ZUU online spoke with the industry veteran to learn more about his role, and his personal attitudes towards investment. Tell me, how did you come to head OANDA Asia Pacific? Having started in the City of London as a programmer and then as a dealer on the LIFFE trading floor, I quickly recognised the inefficiencies caused by the fact multiple intermediaries were required to execute and settle transactions. As such, I saw huge potential in the electronification of the futures markets, which led me to switch roles in order to work for an Independent Software Vendor (ISV), which was an early form of FinTech. Having recently listed in the UK, the company I joined was just about to open an office here in Singapore. Back then, SGX products were still being traded in open outcry on the trading floor and, convinced the industry would one day move to an electronic trading environment, I started approaching each of the exchange members. Not surprisingly, several showed immediate interest, and my first client was a smaller member of the exchange, who saw this as an opportunity to disrupt the market. That client ended up being bought out by one of the major players. Meanwhile, after a few years of resistance, the SGX went electronic. At this point, having worked for financial institutions and an ISV, I felt it was time to move into a role where I could apply both my knowledge of the markets and my understanding of the electronic trading environment. Before finally ending up at OANDA, I was an investor and a Board member for an online precious metals trading platform start-up. What makes OANDA different from its competitors? Firstly, in today’s market, clients are increasingly looking for a broker they can trust. Regulated by six authorities around the world, OANDA was built on a foundation of transparency and integrity. Over the course of our 22-year history, we’ve earned a reputation for putting client interests first, operating within a value-based framework that has repeatedly demonstrated our commitment to fairness and integrity. Secondly, traders today expect complete transparency, not only when it comes to pricing and commission structures but also in terms of execution and risk management. OANDA’s entire system architecture was built to offer greater transparency. Fully automated with no manual intervention, once our clients decide to trade, they can do so confidently, knowing we have no algorithmic software designed to alter your trades. And thirdly, we continually demonstrate our ongoing commitment to supporting clients over the course of their trading, whether that’s through our award-winning education program, up-to-the-minute market commentary or state-of-the-art trading tools. We are constantly launching new advanced charting applications, technical analysis, open order books, and economic overlays that provide clients with greater clarity over the markets, often in real time, in order to help them succeed. We arm our clients with the necessary insights to help them identify trading opportunities while limiting their risk. What were some of the biggest changes you’ve made in OANDA Asia Pacific over the last two years of your tenure? Fortunately for me, the business we have in Asia Pacific has been very consistent over the years, so we haven’t made any major game-changing adjustments since assuming the reigns in 2016. Instead, we’ve made several small adjustments that have optimised our performance, most notably our further commitment to relationship management for example. While the majority of our clients remain self-directed investors, we have increased the number of touch points available to them, providing greater access to our team in an effort to increase customer satisfaction. This, in turn, has allowed us to turn our attention to exploring other growth opportunities in the region. What does your current investment portfolio look like? I wouldn’t call it a significant investment portfolio, but I am fairly heavily geared towards property. I also have small investments in funds and equities. Best investment you’ve ever made? Aside from property, the best investment I ever made was buying a British car during the Global Financial Crisis, because the pound was crashing at the time. I managed to get a very good deal. Worst investment you’ve ever made? Easily my biggest investment mistake, I once became a distributor for a relatively unknown bicycle brand. Because I’m an avid cyclist, it seemed like a good idea at the time, despite the fact I’ve always believed you should never mix business with your hobbies, and certainly not if you have to carry stock. Well, I broke both of my own rules that time, and it took a while to recoup my initial investment. What is your best advice to new or younger investors? There is no such thing as easy money. If an opportunity looks too good to be true; it probably is. Before investing anything, you should carefully consider your financial situation and appetite for risk, before building a diversified portfolio that will help protect you from sudden price movements. You should also take a long-term view of the market, developing a strategy that will help you achieve your financial goals.